The first thing you should do is make certain you’re ready to take care of a dog. If you travel or need to be away from home for long periods, dog ownership may not be right for you. Dogs, especially young ones, need lots of attention and care. Remember, companionship is a big part of being a dog owner. If you’re not able to provide it, think twice before taking in a new pet. Consider all the expenses that go along with being a dog owner because dogs can be expensive to care for. Aside from the food and “equipment” (e.g., leashes, dog sweater, harness), there are shots, registration fees, and periodic visits to the veterinarian. All in all, dog ownership can cost as much as $4,300 a year, depending on the specific needs of your pet. If you aren’t willing to adapt and be flexible, dog ownership can be a burden and an ordeal, for you and your pet. 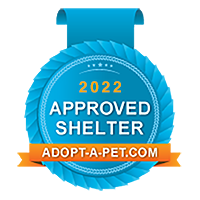 If you’ve decided you’re ready, you’ll need to settle on the kind of dog that’s right for you and your family. Size is a major factor. If you live in an apartment or condominium or a small house, a mastiff or Irish wolfhound probably won’t work out very well. Unless you have a big yard or live near a dog park, a mid- or small-sized dog is your best bet. Small children sometimes are intimidated by large dogs, and some breeds can be unpredictable. Unless you’re willing to spend a lot of time and money training yours, leave the big dogs to people who live in the country. Many breeds shed, leaving mounds of hair on furniture, piled up in the corners of your house and clogging air vents. Aside from the mess, hair and dander can be a major problem if someone in your home has allergy problems. Dogs can seriously affect indoor air quality, so be careful if someone has allergies, asthma, or some other respiratory problem. You can always get around the problem by purchasing a hypoallergenic breed, such as a Maltese, poodle, Irish water spaniel, or bichon frise. Many breeds tend to develop skin problems. Spaniels, English bulldogs, doberman pinschers, labrador retrievers, and shar-peis often develop problems that cause irritation, hair loss, and sores, which can lead to exorbitant veterinarian bills and pricey prescriptive treatments. Be aware that all dogs leave behind their own distinctive scent. If yours is a little on the strong side, you can remove odors by washing sheets and removable covers often and by regularly having your carpet steam cleaned. 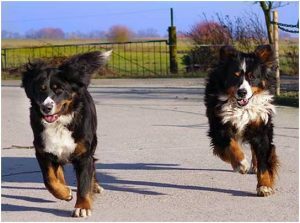 People often buy a breed of dog based on something they’ve seen on TV or because a friend or neighbor has one, not realizing that dogs have different temperaments, which may or may not be appealing based on your lifestyle and personality. If you like to maintain a calm and relaxed atmosphere at home, steer clear of a frenetic, hyperactive breed. The Jack Russell terrier on the TV program “Frasier” had lots of personality and looked cute, but the breed itself can be very hyper and needs lots of exercise and activity. Dalmatians and border collies are also highly active breeds that may be too much to handle. 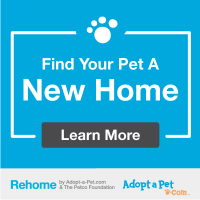 Create a special space for your new dog where you’ll keep his food and water dish, bed, and toys. This will help him establish his territory. Follow a set routine every day, in which you feed him at the same time. Set aside a special time of day for walks, maybe after dinner every weekday night and every Saturday morning. This daily routine is crucial in contributing to the bond you are forming with your new pet. If you purchase a small breed or a dog that was rescued, be aware that your pet may need some extra holding and attention at first until he’s comfortable with his surroundings. Finding a dog breed you like is like finding a new friend. You need to decide whether you’re well-suited to each other and whether you can be a good friend to him. Be honest with yourself—if you don’t have the time or energy to put into it, you might be better off with a goldfish.